No job is too big or too small for Green Leaf Environmental Services. Our clients range from individual homeowners to large subdivision developers, and we have an excellent track record. Our parent company is Lange Landscapes, Inc.
Green Leaf Environmental Services is a landscape design and maintenance firm based in San Diego, California. Since 2003. We serve the community with multiple locations in Carmel Valley, Carlsbad and Del Mar. 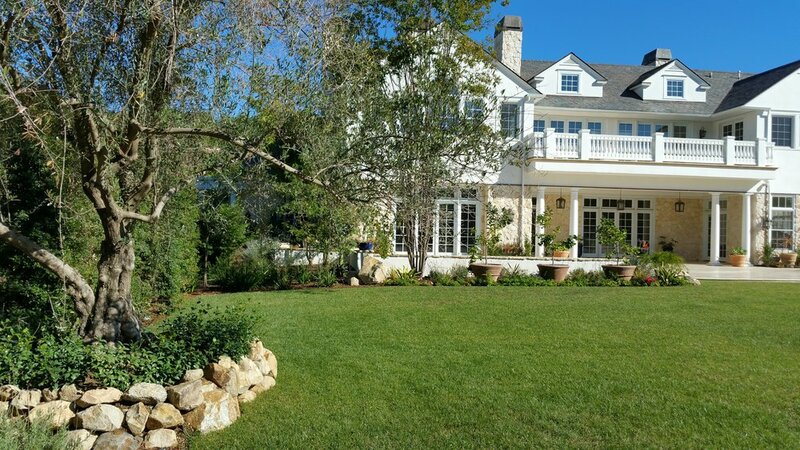 We have been creating and maintaining beautiful landscapes for homes, estates, and commercial projects throughout Southern California. Our highly trained team has more than 20 years of experience in the industry. Our services include water management, irrigation, planting, and more. Contact us today for a consultation with a landscaping professional. Turn your yard into a beautiful outdoor living space. Green Leaf Environmental Services of Del Mar, California, offers professional landscape installation, construction, and design. The San Diego Conservation Action Committee is hosting a forum on June 29 from 10 to 11:30 a.m. about the state's new long-term water-use efficiency framework and proposed implementation schedule. Peter Brostrom from California's Department of Water Resources will present about the framework, and Dana Friehauf from the Water Authority will discuss related legislation and opportunities for involvement. The event will take place at SDG&E's Energy Innovation Center, 4760 Clairemont Mesa Blvd. in San Diego. Space is limited, so advance registration is required.